We do not recycle CRT (Tube) TV's. We can recycle your LCD, LED or plasma TV. Please bring your LCD, LED or Plasma TV to our Toledo Recycling warehouse at 5265 Tractor Road, Suite L Toledo Ohio by appointment only. LCD, LED and plasma TV recycling fee. $10.00 for 32" and below / $20.00 for all larger models. Please do not drop off CRT televisions in or around the receptacles. LCD / LED Computers monitors accepted at any drop off location at no charge. We accept Plasma TV's at our Tractor Road Location only. There is a $10.00 fee for 32" and below and $20.00 for 32" and larger. 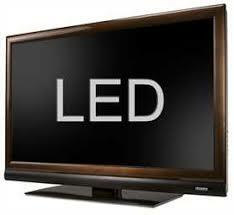 We accept LED TV's at our Tractor Road Location only. There is a $10.00 fee for 32" and below and $20.00 for 32" and larger. We accept LCD TV's at our Tractor Road Location only. There is a $10.00 fee for 32" and below and $20.00 for 32" and larger.